1. You showed up to the casting all types of wrong! If you are attending a swimwear casting, you need to wear a SOLID color bikini under your clothes(preferably in all black or white, stay away from neon colors, stripes and patterns and flashy embellishments), just in case there isn’t anywhere to change. One piece swimsuits or Monokinis don’t really show your shape, they can hide your shape, body flaws and in some cases make you appear worse. And leave the huge hoop earrings and Hater blockaz (huge sunglasses) in your purse, don’t wear them to the casting. Wearing a ton of accessories is a NO NO when it comes to castings. Keep everything to the absolute minimum. Colorful necklaces, huge costume jewelry, and kiddie cute headbands, please leave that stuff at home. Wearing a bad lace-front wig or a hair color that has no business being matched to you for your skin tone. Do I really need to go into details about this one? Did you wear all of the make up you own to the casting, complete with hot pink eye-shadow and lipstick, and lashes that make you look like a puppet? Casting agents don’t want to the “All Made Up” you, they want to see the natural beauty that you really are. Castings are meant for the decision makers to see what they’ll have to work with from scratch, they’ll make you over to what they want you to look like. The most amount of makeup you should be wearing is a light application of concealer to cover up problem spots (or a sheer application of foundation all over your face), mascara, and a neutral lip gloss. IF YOU DON’T HAVE A PORTFOLIO TO SHOW WHAT YOU CAN DO, YOUR CHANCES OF BEING BOOKED ARE SLIM TO NONE!!! 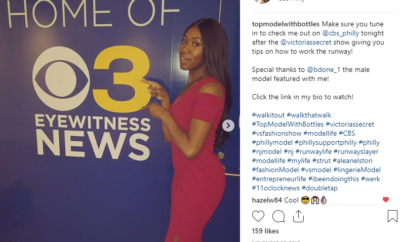 In the words of Iman, “If you want to survive as a model, you have to be a good businesswoman and understand that your pictures are your currency.” Loosely interpreted, if your pictures aren’t on point, or they don’t exist, you don’t have anything to use to help further your career and make you money! It takes money to make money people! Invest yours in QUALITY photography (stay away from Guys with cameras aka “GWCs” who just want to see you for reasons other than professional ones and take a bunch of “booty” flicks) and watch your return increase. Another note to this: GET YOUR PICTURES PRINTED! I cant tell you how many models I have met that have said, “You can see my port on model mayhem, or on “abc dot com” here’s my account number.” If they wanted to select you based off your pictures on a website, they would have done so! When you meet someone in person, especially at a casting it is expected that you leave something behind (a comp-card or a picture from your port with your info on the back). If you have nothing to leave behind, guess what? You won’t have to worry about getting booked! Be a professional and get your pictures in a portfolio book and make sure you have various looks please! A rule of thumb I use when selecting photographers: If their portfolio of work doesn’t look like something that should be in a magazine, I will not work with them. Also, if they are new photographers I’ll consider working with them considering they have grasped certain concepts. i.e. lighting and not cutting off vital limbs and great photo elements to a shot. 3. You’re all tatted up! I know I know, you know plenty of models with tattoos that are working, and blah blah blah. Well, I have been to castings and on jobs where models have lost the gig SOLELY because they had tattoos that they didn’t/couldn’t/wouldn’t cover up. 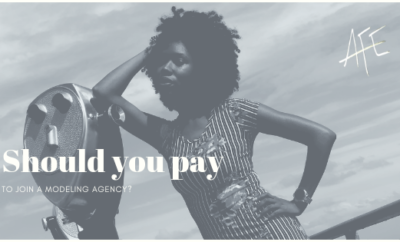 Granted that tattoo of Winnie the Pooh on your shoulder blade might look cute to you, but to a fashion designer and her strapless or backless gown, they wont find it as the right complement to their look and thus can result in you not getting booked. Best way to get around this in case you do have tattoos is to invest in Dermablend. Its a brand of makeup that can cover up tattoos and large scars very well. Get in the habit of applying it if you don’t want to be turned down for jobs! 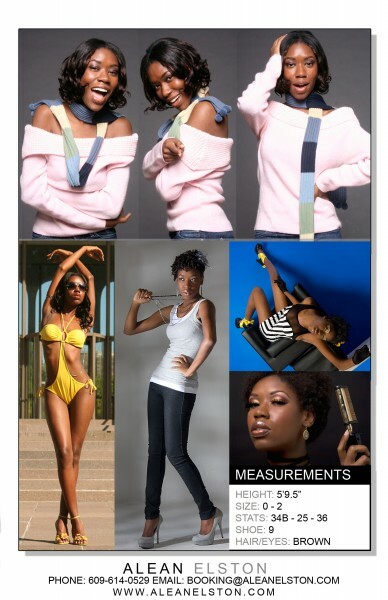 Are there any reasons why you have been turned down for modeling jobs? 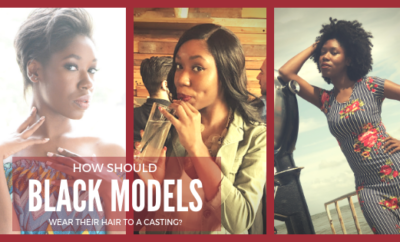 Let me know, comment below or tweet me with the #modeltip hashtag. 3 MORE reasons will be coming soon!